As a means of informing the local community of the most recent activities of the Royal Burgh of Tain Community Council, it has been decided to release a précis of items under consideration from our most recent meeting to the following interested parties who may, should they wish, contact the Chairman via the FEEDBACK page for further details. This page will show the most recent Community Council press release as text and as a downloadable PDF. Earlier press releases are available as PDF. It was with considerable concern and a degree of some alarm that the Community Council of the Royal Burgh of Tain discussed at its meeting last night Highland Council’s proposal to close most of the Service Points across the Highland area. Notwithstanding the fact no Community Council has been invited into an advance consultative process, the proposals hit at the very heart of local government service provision for local communities. Although the proposals give the Tain Service Point a stay of execution we can take little confidence moving forward this will always remain the case. In the opinion of the Community Council the Service Points and their staff provide an essential local service giving access to Highland Council’s range of functions in a simple, straightforward and accessible manner to the entire community generally and to those less economically mobile in particular. The intended replacement with technology is wholly unacceptable not only for reasons of its current failings and inadequacies but due to the fact it would be a facility denied many of the Highland population through lack of computer skills, access to equipment or availability of adequate Broadband reception. Alternative options such as call centres only add to the access barrier to Highland Council services which is becoming increasingly commonplace. The lack of an economic and efficient public transport system throughout the Highlands demands that access to Council services is brought to the people and not the other way around. With respect, this ought to remain uppermost in the minds of Highland Council members who represent the communities most affected by this current proposal. From an employment perspective, it should be appreciated the Service points provide valuable local employment opportunities which contribute to allowing individuals and families stay within rural communities. It has commonly been observed over the years, whenever cost cutting impacts upon jobs, then it is the lower pay grades which are being targeted first. This is inherently unfair. Re-deployment from rural areas is rarely a practical alternative opportunity and insult is added to injury by the proposal to create a new level of middle management ‘performance quality’ jobs to oversee the new system being proposed. This proposal represents yet more unwelcome centralisation of local government which has the effect of taking decision making and service provision further away from the very people it is intended to serve. The constant drive towards increased Council efficiency is only making the Council more remote from its communities and the closure of the local Service Points may be the straw that breaks the camel’s back in terms of public trust in local democracy within the Highlands. As a Community Council, we wish to stand firm with the communities more directly affected by this proposal and urge Members of the Finance Housing and Resources Committee to reject this proposal to target the Council’s Service Points for closure. 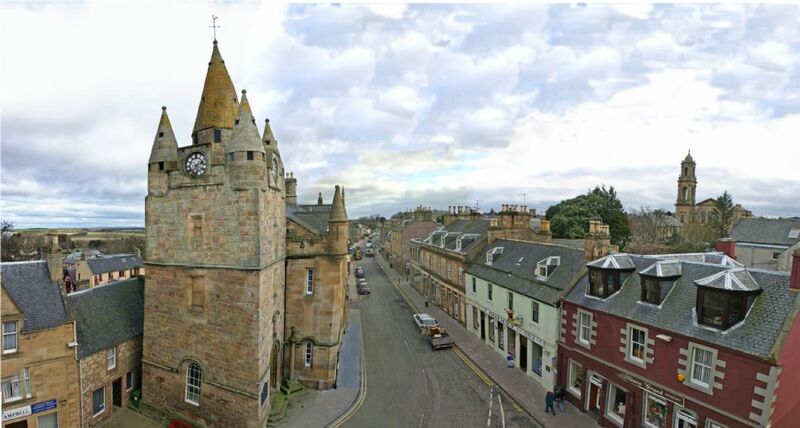 If the Council is to try and best serve the interests of its population who live outwith the immediate Inverness area, then it must take very seriously indeed the concerns of this Community Council and others making similar representations. At the very least we would urge the Finance Housing and Resources Committee to defer such an important decision to the consideration of the full Highland Council.